Bluegrass Farm was a fledgling idea the last time I had an opportunity to visit back in 2012. Back then I was amazed to see the dedication and passion Brad and Leela put in to pursuing something they love. I remain inspired when I see the full blown farm operation they have today. As spring slowly makes it’s way here, the farm is abuzz with energy. The fields are being tilled ready for plants and warmer weather. 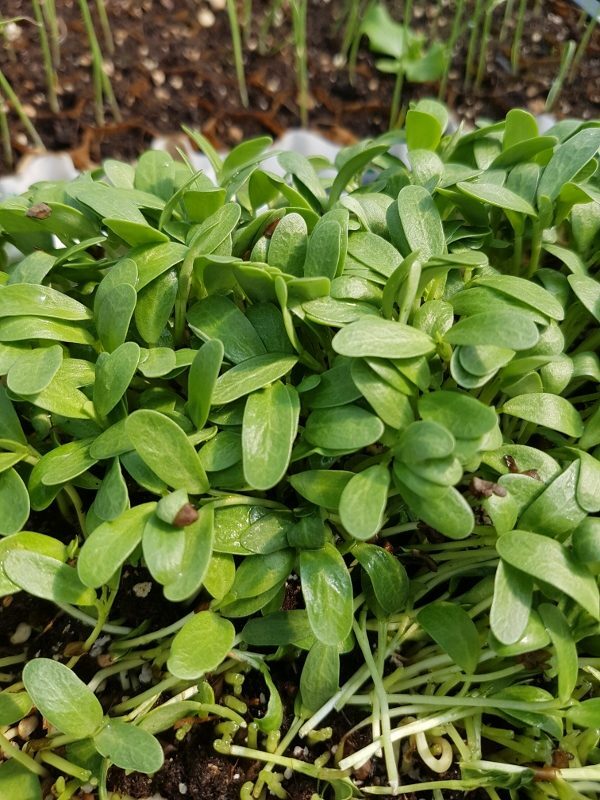 The greenhouses are thriving full of greens, that make their way to plates across the Ottawa area. The newest addition to the farm is Greenhouse 5, which includes a heated portion. 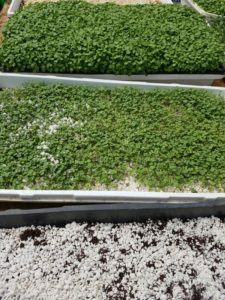 The heated portion provides a place to sprout plants for the fields, plus grow microgreens. As an urbanite who spends her days on a computer, farm work has an amazing allure. I got to spend my day getting dirt under my nails in Greenhouse 5. 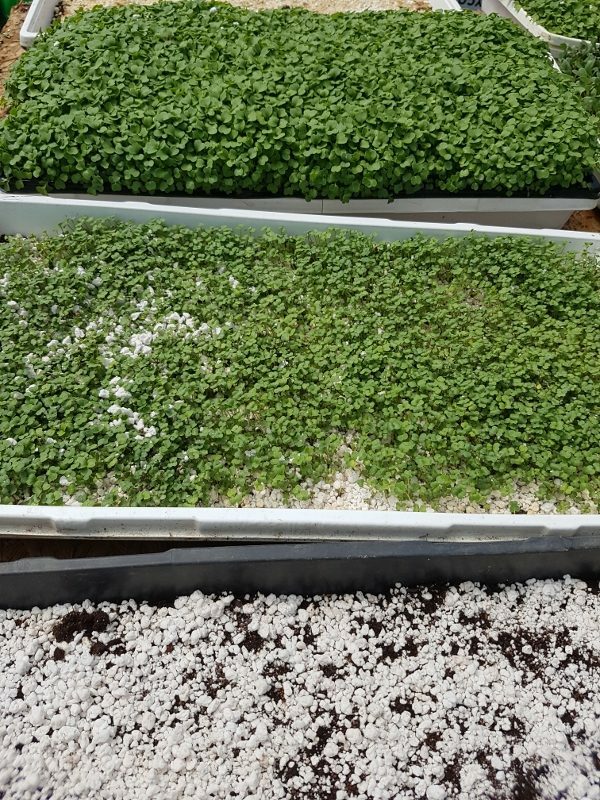 Karen and I planted over 20 trays of green starters and microgreens! The variety amazes me. My yuppie life only sees the variety on my plate. I’d be hard pressed to name or identify either the seed or leaf of most of the plants in the greenhouse. 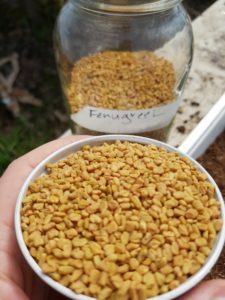 Fenugreek was the most intriguing to me. The seeds have a wonderfully spicy aroma, and rich golden colour. The smell doesn’t translate to the flavor of the seed or the green. Making and planting the trays felt like childhood and time spent making mud pies. Layer the dirt, add the seeds, top with perlite – like white frosting! The day of work was a great way to spend the day, as I was rewarded with tangible outputs. The day helping at the farm was a real treat! Not only did I get to help my friends, I can better appreciate the effort put into growing food and the work required for farming. 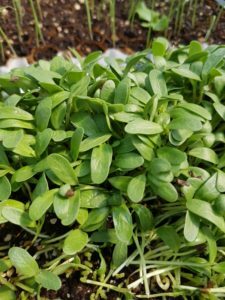 Added bonus – the inspiration and knowledge to grow microgreens back in the urban jungle.